When you own a property in any bigger city such as Canberra, there are good chances that it will be vandalised by graffiti at some point. Trying to remove the graffiti yourself can only cause bigger problems as you need to know which chemicals to use on which particular surface. Not doing it properly can only smear the paint around or even worse – it can damage the surface permanently when more expensive repairs are needed. So, it will be better to leave it to a professional graffiti removal service. With over 15 years of experience, at Watson Painting, we are confident that we will be able to get rid of the graffiti from your walls faster and more efficiently than anyone. We use a wide range of specialized cleaners dealing with all the different surfaces, including: brick, stone, concrete, glass, painted surfaces, metal, limestone, etc. 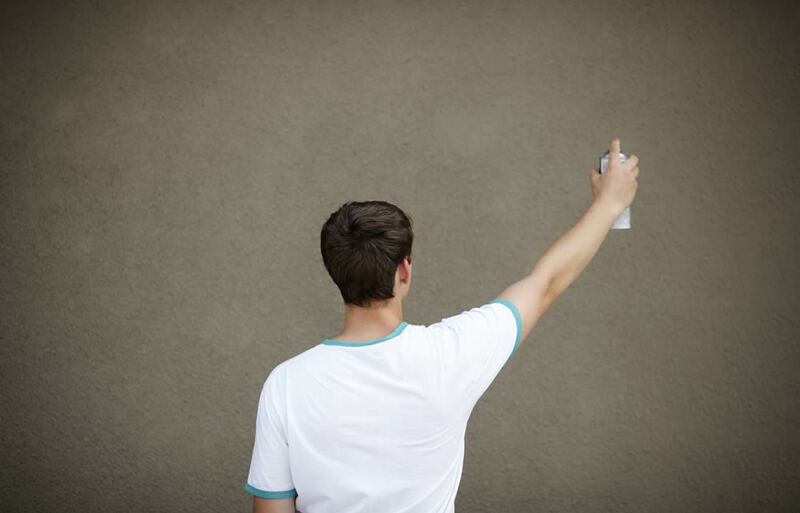 Our main goal is to leave your property completely damage free and no matter which kind of spray, marker or paint is used, we will return your walls to its original condition without leaving a shadow. Having total customer satisfaction in mind, our dedication goes beyond your expectations. We do every job right the first time, continuously striving to improve efficiency and effectiveness of our services. Moreover, we do care about the environment and this is why we use eco-friendly products only for removing graffiti from your walls. All our specialists are fully trained and experienced, having the tools, qualifications and expertise to perform the best graffiti removals in Canberra at the most competitive prices in the city. Our job is not done until you are completely satisfied!